Internists Urged To Prescribe Impotence Pills When Men Ask : Shots - Health News A guideline for internal medicine doctors recommends prescription of Viagra, Cialis and Levitra to men who seek treatment for erectile dysfunction. Guys, if you ask your doctor for one of those heavily marketed pills to treat impotence, the chances are good the answer will be yes. 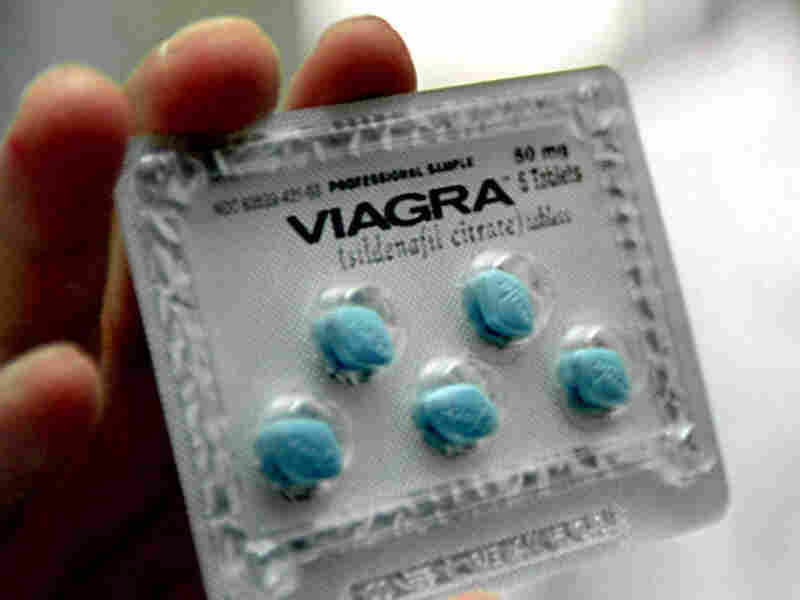 Internists back use of impotence pills, such as Pfizer's Viagra, for men who seek treatment. It's not just because of all the ads for Viagra, Cialis and Levitra, though we know it's impossible for you or your doctor to avoid them. As of today, the American College of Physicians, the leading professional group for internal medicine docs, says the medical evidence supports a "strong recommendation" in favor of the medicines as a front-line treatment in men who seek help and don't have medical problems with the pills. The drugs work and have few side effects, with the most common being things like headache or nausea. Sexual performance problems lasting three months warrant evaluation and consideration of treatment, the guideline says. We asked Dr. Amir Qaseem at the ACP why this recommendation was necessary, given all the work drugmakers have done to make sure hardly anyone in the country (including our kids) hasn't heard about what the medicines can do. He told us erectile dysfunction is "very common" and is becoming more prevalent as cardiovascular disease rises and the population of men grows older. There's also an accumulation of data in support of a guideline now. When it comes to choosing which pill to take, it's up to you. The ACP says head-to-head evidence is lacking to make a call like that. The doctor group also refrained from recommending for or against routine testing for testosterone, a male hormone, or treatment with hormone supplements if testosterone is low. We had to ask if the pills' makers paid for the work? No, Qaseem said, the money came out of ACP's operating budget.